Another session, another day-long hearing on abortion legislation. Senate Health and Human Services Committee members heard emotional testimony on Wednesday from reproductive rights activists and abortion opponents over three measures that would further restrict the procedure. Abortion opponents are hoping for more traction than usual this session, with an ultraconservative Legislature and a Republican in the White House. Meanwhile, reproductive rights advocates are intensifying their resistance, worried that lawmakers at the state and federal level again have abortion in their crosshairs. Committee Chairman Charles Schwertner, R-Georgetown, kicked off Wednesday’s hearing with discussion of his own bill, SB 8, which would ban abortion providers from donating aborted fetal tissue to medical researchers, citing as evidence undercover videos released in 2015 that purport to show Planned Parenthood employees admitting to selling fetal tissue. Though the controversial videos have been widely debunked, anti-abortion lawmakers have pointed to them as substantiation that Planned Parenthood was motivated by profit. “What we want to do is get away from profiting motive as well as middlemen dealing with fetal tissue,” Schwertner said. Lubbock Sen. Charles Perry argued his Senate Bill 415 would end the “barbaric practice” of taking the fetus apart while it’s alive. He said his bill does not ban dilation and evacuation abortions altogether; it just requires the fetus to be deceased first. Abortion rights advocates say Perry’s bill would remove the safest way to perform the procedure on a pregnant woman. Meanwhile, Republican Sen. Don Huffines defended his Senate Bill 258, which would require the cremation or burial of fetal remains. 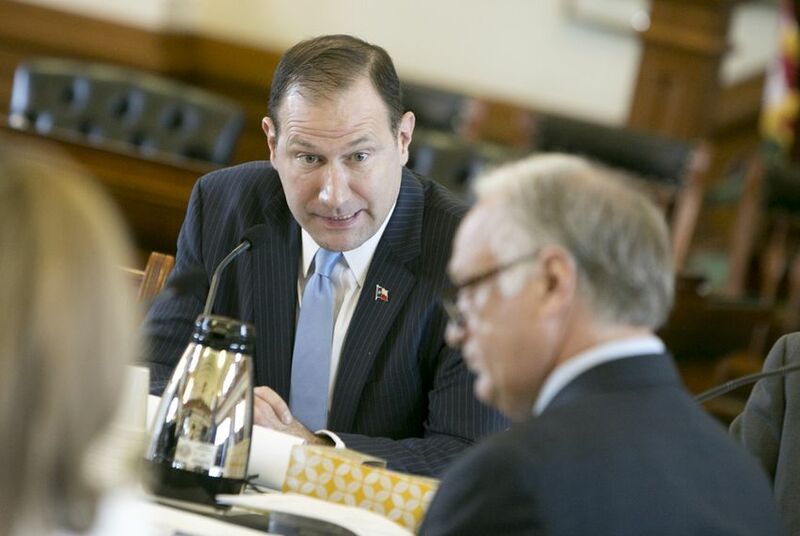 The bill is meant to be the legislative backbone of a Texas Department of State Health Services rule that was supposed to go into effect Dec. 19. But a federal judge blocked the rule from being implemented last month after the Center for Reproductive Rights, an abortion rights group, filed a lawsuit. Huffines said the legislation “strictly deals with dignity of the unborn” and is not intended to increase the cost of abortions. Throughout the hearing, Sen. Kirk Watson, D-Austin, pressed Schwertner, Huffines and Perry on how their bills would improve reproductive health. “Can you point me to anything in this bill that enhances the pregnant women's health and safety?” he asked. And reproductive rights activists blasted lawmakers for taking up bills that did not address access to sexual health services. Many on hand to testify asserted that the bills were a waste of time and energy — and were meant to punish women seeking abortions. “Our state leaders should focus on making sure that all people have the power, resources and community support that they need to make their reproductive decisions a reality and to live their best life,” said Amanda Williams, executive director of the Lilith Fund, a reproductive rights group that helps women access funding for abortions. Several abortion opponents compared the abortion fight to the Holocaust during their testimony, and many argued lawmakers were to blame. But they weren’t always aligned. Some testified in favor of Senate Bill 415, like Donna Harrison, executive director for the American Association of Pro-Life Obstetricians and Gynecologists. She said “it is hard to imagine a more gruesome way to die” than a dilation and evacuation abortion. Others warned against the measure, arguing it was merely about regulating abortions, not about banning them altogether.